Cuba will officially recognise private property for the first time in decades under a new constitution featuring far-reaching changes, state media say. Recognising private property could potentially mean more protections under law for private entrepreneurs - and foreign investors. 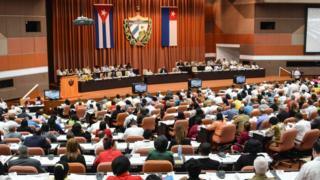 But under the proposed reforms the party will remain as Cuba's dominant political force, the Granma newspaper reports. Presidents, however, will be limited to serving two consecutive five-year terms and political power will be divided between the president and a prime minister.